[description] => The film will likely start rolling from mid-October, according to the director, and will have Balaji Ranga canning the scenes. 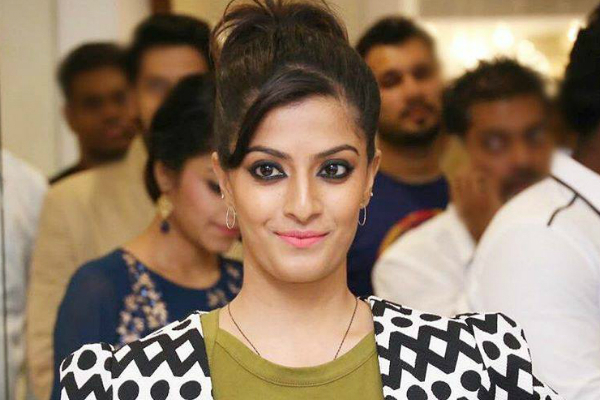 Actress Varalaxmi Sarathkumar was last seen in Vikram Vedha starring R. Madhavan and Vijay Sethupathi which was direcgted by Pushkar-Gayathri. Varalaxmi will next appear in a film that will be directed by debutante Priyadaarshini who has assisted director Mysskin in his previous projects. The movie is said to be a female-oriented subject and will have Varalaxmi play the lead role. The story is also said to have action, thriller and mystery as unique elements, reports suggest. "Varalaxmi plays the protagonist, and she is involved in a cat-and-mouse game with the antagonist. Her character will be an action-oriented one, on the lines of the protagonists in Kill Bill and Lucy, and she will not be having any romantic interest. We are in talks with a leading hero to play the role of the antagonist," a report in TOI quoted Priyadaarshini. The film will likely start rolling from mid-October, according to the director, and will have Balaji Ranga canning the scenes. "We will be going on floors by October 15. We had planned to launch the first look of the film today, as it is Mysskin sir's birthday, but we since some of the work is yet to be completed, we will be releasing it on Vijayadasami," adds the debutante. The story of the film is said to be set in Chennai and Pune and will also portray issues faced by women in daily life. Varalaxmi, known for portraying variety of characters, seems to be the apt actor for this kind of a role which required a lot of vairations. The film will likely start rolling from mid-October, according to the director, and will have Balaji Ranga canning the scenes. “Varalaxmi plays the protagonist, and she is involved in a cat-and-mouse game with the antagonist. Her character will be an action-oriented one, on the lines of the protagonists in Kill Bill and Lucy, and she will not be having any romantic interest. We are in talks with a leading hero to play the role of the antagonist,” a report in TOI quoted Priyadaarshini. The film will likely start rolling from mid-October, according to the director, and will have Balaji Ranga canning the scenes. “We will be going on floors by October 15. We had planned to launch the first look of the film today, as it is Mysskin sir’s birthday, but we since some of the work is yet to be completed, we will be releasing it on Vijayadasami,” adds the debutante.